Towels are one of the essential daily use items. You should think about its proper cleaning and drying after every use. 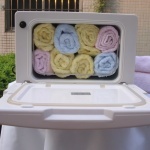 Towels are mostly made of pure cotton fabrics. People love to use and wear cotton goods. 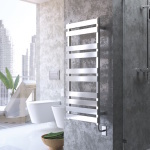 How to choose the best towels? 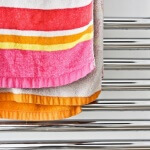 Towels are one of the key items that you can keep in your bathroom. Hotels require the best quality towels for their guests.You have to choose the best towel that fits your business requirements. 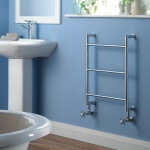 The unique design and collection of towels can make your hotel bathroom an exact place to bath. These towels will absorb water well and dry in a flash. 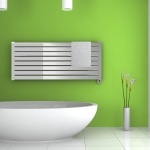 You will get different colored towels to suit your bathroom atmosphere. 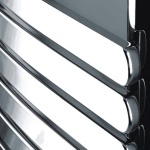 The textures are well crafted to give you a great way to add extra style to your bath. You will get Macy’s Hotel Collection MicroCotton towel with 18 different colors. 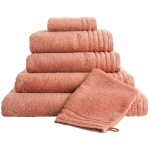 These towels are durable and long lasting products. It will look pretty good after several washes. It may shrink after laundering. The shrinkage is average, so it will not affect your charm to use it. 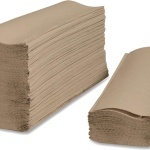 The Linden Street Quick Dri towels are lightweight and fast drying products. You will feel excellent to use these products. The absorbency of this towel is too good. You can carry them comfortably on tours. The colors will not rub off during washes,but the material is less strong. Pottery Barn’s Turkish Hydro Cotton towels are one of the luxurious towels. These products dry quickly and absorb water effectively. It will shrink after washing and drying. The product has three different colors and will not rub off or bleed in washes. Bed Bath & Beyond manufactures the lasting color towel. The color can be retained after 25 washes. That means the color will not transfer to other fabrics during washing. You will find these towels in 13 different colors. This Turkish Cotton towel has a soft touch and absorbs water quickly. It is made of entirely high-quality cotton fabrics. 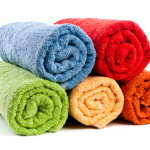 These cotton towels are having a simple design with affordable price range. You have to wash Tommy Hilfiger Cotton towel with your hands because the cotton fabrics may damage in a washing machine. If you get an affordable and high-quality cotton product, then there is no need to choose synthetic goods. 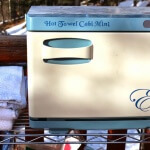 Cotton towels are very soft and comfortable to use. Some of the towels take time to dry, but these are the best absorbent.